The most common central electric heater is a heat pump. They have two different functions in the summer and winter. In the winter, they heat the house. In the summer, they cool the house. There are several parts to a heat pump. Outside there is a unit called a compressor that extracts the heat (in the winter) from outdoors. The air moves through the condenser coils to the indoor heat exchanger, where the hot air is squeezed out of the cold air. An air handler (fan) blows the heat throughout the entire home. The cold air from the house is taken into the heat exchanger, which moves the cold air through the evaporator coils from inside the home to outside. In a heat pump, there is also a reversing valve that changes it from heating to cooling. The process works in the reverse way, going from compressor to the evaporator to the heat exchanger to the condenser to the outside. What if my heater is sluggish or less effective? Ducts the air is flowing through are dirty. Filters are worn out or clogged. The thermostat's setting is too low. We'll go in and clean your ducts. If needed, we'll also replace your filters. We will unstop your blower/fan by removing any debris. You can turn up the temperature setting. We will recalibrate your belt to its proper destination. What if the system fails doesn't turn on? Burned wires or scorched paint that leads to overheating. We'll tighten your connections or install new wires. Also, we'll check that your breaker is not off. 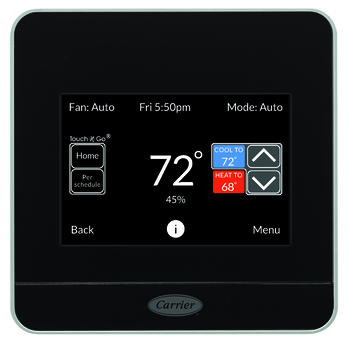 For your thermostat, we can repair or replace it. What happens when the temperature of the air coming out is seriously off the set temperature? Broken heat exchanger or blower. We'll check your ducts with our cameras and clean them with our machines. We will add more insulation. We can also replace your blower. We'll also add more refrigerant if needed. Replacement of your heat exchanger or blower will not be a problem for us! Reset your thermostat. Also, change it from ON to AUTO. What if my heater keeps making noise? Belts are blocked, loose/tight, or damaged. Either the motor or blower is stuck. Remount the belt or spray it with solution. We can also replace any worn down ones it if needed. Remove anything clogging the devices. If you have any of these problems, give us a call! 1810 Strawfield Dr. • Sugar Land, TX 77478 • (281) 373-3000 • Copyright 2017 American Comfort Experts.